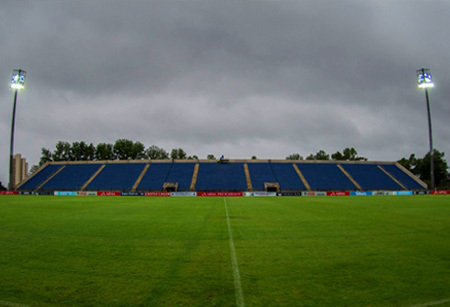 Maritzburg United will be looking to build on last weekend's victory over Celtic when they host Bidvest Wits at the Harry Gwala Stadium tonight, 19H30. The Team of Choice remain at the foot of the table, but are within touching distance of AmaTuks (one point) and Jomo Cosmos (five points), with a game in hand on those two clubs. The Clever Boys meanwhile are second on the PSL standings and have won two of their last three matches. Overall, the two sides have played 17 times in the league, Wits winning eight, Maritzburg three, while six matches have been drawn. The Johannesburg side won the corresponding first round game 2-0, and have won six of the last seven games between the two sides, a record Ernst Middendorp and his men will be determined to put right. Maritzburg’s line-up from their 1-0 win over Celtic: Verbauwhede, Teyise, Mngonyama, Mogapi (Onyango 59'), Sonoka, Booysen, Zulu, Lentjies (Maasdorp 90'), Mekoa M, Mekoa D, Rusike. Wits’ line-up from their 2-1 win over Tuks: Josephs, Hlatshwayo, Klate, Pelembe, Hlanti, Mkhwanazi, Nhlapho, Mahlambi (Botes 79'), Keene (Vilakazi 64'), Motshwari, Ntshangase (Shongwe 65').